Mr. Kohler served for many years as general counsel at several automotive related companies covering domestic and international matters. As a general counsel and in private practice, Mr. Kohler has advised some of the world’s largest automakers and suppliers. He has led some of the automotive industry’s larger and more complicated acquisitions and divestitures, negotiated specialized supply agreements involving the sale and purchase of billions of dollars in critical components, created important joint ventures, and established international operations and distribution networks. 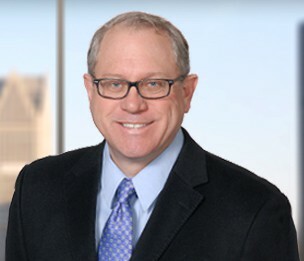 Mr. Kohler is an authority on legal issues relating to autonomous and connected vehicles. His work in that area has involved investment transactions, technology development and licensing arrangements, and legislative and regulatory issues. He is the author of "Current Law and Potential Legal Issues Pertaining to Automated, Autonomous and Connected Vehicles," published in 2015 in the Santa Clara High Technology Law Journal. Within the dental services industry, Mr. Kohler specializes in transactions and general corporate matters, including establishing Dental Services Organizations, acquisitions and divestitures of practices, private equity investments and business structuring. "Feds Don't Need New Powers Over Self-Driving Cars"
"Current Law and Potential Legal Issues Pertaining to Automated, Autonomous and Connected Vehicles"
"Warranty Cost Sharing: The Framework for Negotiations"
"Managing Acquisitions as a Corporate Process"
"Contingency Planning in an Era of Massive Industrial Failure"
"International Distribution Relationships: Commercial and Legal Perspectives"